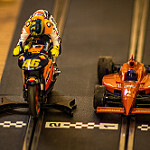 Join us in All Saints Church Parish Hall from 2pm—7pm for an afternoon of Scalextric. So many people enjoyed having a go at racing the Scalextric cars at the Westbury Model Railway Show that we decided to run a session in All Saints’ Parish Hall. People can bring their own cars (raced at their own risk) or borrow one. Children must be accompanied by an adult. 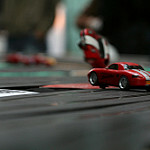 There will be a variety of tracks including micro-Scalextric. Cost: £2.00 per adult and £1.00 per child.